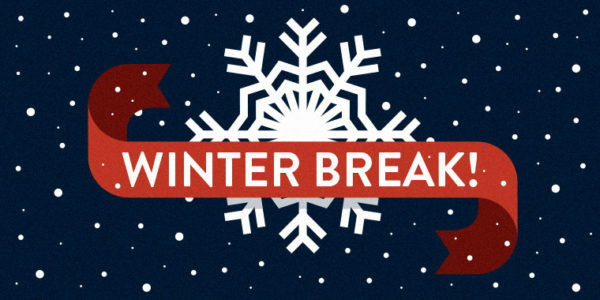 My Favorite Things: Christmas Break Edition! There are just too many things to do to this week so I'm super-sizing my list. Here is a long list of fun family activities near and maybe a little out of our neck of the woods. Art Adventures with Mrs. C is a MUST for every Madison kiddo. Mrs. C is holding pop-up classes throughout the day on Monday, January 2. $35, Must register ahead of time. Check out their online calendar to see when they are offering drop in handbuilding during the break. • Frosty the Faux Man: We have snow that never melts! What is it made of? Build a snowman out of our amazing faux snow. • Arctic Architecture: Use milk cartons to make an indoor igloo. There’s snow place like home! • TP Blizzard: Be in the atrium of Governors Hall at noon when you visit. You will be blanketed by a blizzard of toilet paper! Spectacular fun—no shovels required. • Snowflake Construction: Young learners and their grown-ups can build a giant snowflake out of PVC pipes. • 3D Print a Snowflake: Come to the MakerLab and see how 3D printing works. Print a snowflake to take home! (Dec. 27 – 29). Throughout the 12 Days, we will have winter-themed Story Times and labs, chances to meet African penguins (Dec. 27 – 29) and live owls (Dec. 30), plus your last chance to visit Bodies Revealed and Curious George: Let’s Get Curious! during their time at LSC. You can even meet Curious George in person, December 28 & 29. Watch this page for more specifics. Check the Events Calendar for the day you plan to visit, and see what wintry fun is in store! Stroll through the zoo after dark to see the animals frolicking under the incredible light displays. Animal- and holiday-themed figures, including wooden soldiers and stars, will illuminate the zoo and delight your little ones. Myrtle the Turtle, the zoo’s mascot, and other costumed characters will be on hand to greet visitors. Donations of canned goods, unwrapped toys, and winter coats are appreciated. Enchanting model trains zip through a display of 150 landmarks, each re-created with bark, leaves, and other natural materials—all under the twinkling glow of the Enid A. Haupt Conservatory. Marvel at G-scale locomotives humming along among familiar sights such as the Brooklyn Bridge, Statue of Liberty, and Rockefeller Center on nearly a half-mile of track. The recent exhibition expansion continues with more trains, an all-new Queensboro bridge, and a true New York finale featuring a whimsical tribute to the iconic Coney Island amusement park’s architecture and attractions. Explore a winter wonderland across our 250 acres with special tours, a cappella performances, Winter Harmonies Concerts, a poetry reading with recently named NYBG poet laureate, Billy Collins, and activities for kids. $20 - $30 for adults, $12- $20 for kids. Advanced ticket purchase strongly recommended. Come celebrate the holiday season with us! This year’s Holiday Train Show display will feature a 34-foot-long “O gauge” model train layout with Lionel’s model Metro-North, New York Central, and vintage subway trains running on eight separate loops of track, against a backdrop featuring graphics celebrating the Museum’s 40th anniversary by artist Julia Rothman. Vintage “O gauge” and “N gauge” model trains and a selection of Transit Museum Collection ½” scale trolley models made by Dr. George Rahilly will also be on view. Scuba Santa made his grand entrance earlier this month! One of the region’s most unique holiday traditions returns to Adventure Aquarium on the Camden Waterfront for its eighth year. Christmas Celebration wouldn’t be complete without an appearance by the beloved Scuba Santa. Children of all ages can see Scuba Santa swim alongside magnificent sharks, incredible sea turtles and graceful stingrays in the Aquarium’s 760,000-gallon Ocean Realm exhibit. All activities included with Aquarium admission. “I Believe in Scuba Santa” Live Show – Scuba Santa’s #1 Helper shares the story of Christmas Celebration and puts the final touches on the decorations in Ocean Realm Theater with the help of Scuba Santa himself. Christmas Storytime – Listen to an elf share the story of Scuba Santa. At the very end of the story, watch as snow falls inside the Aquarium. Showtimes* Monday - Friday: 1:30 PM Weekends: 10:30 AM, 12:30 PM, 2:30 PM and 4:00 PM December 26 - 30: 10:30 AM, 12:30 PM, 2:30 PM and 4:00 PM *Due to our special hours on December 24-25, showtimes will be different. Please check the visitor guide when you visit. Plan your visit to The Met with the tree lighting in mind. Beginning Friday, November 25, tree lighting ceremonies will take place daily at 4:30 p.m., with additional ceremonies on Fridays and Saturdays at 5:30 and 6:30 p.m. These are free with Museum admission. Wishing you all the happiest of holidays!! !